The Norwegian Broadcasting (NRK) in co-operation with Norwegian Armed Forces and Rune Gjeldnes and Ronny Brattli has finished the filming and editing of Jan Baalsrud´s amazing escape from the Nazi in Northern Norway during WW2. Ronny Bratli and Rune Gjeldnes did the entire route as identical as possible, as the first, and met both some of the challenges and the people Jan Baalsud encountered in 1943. The series of five program, can be watched on NRK Nett TV. Ronny and Rune did the whole route in 2012 during 12 days, as identical as possible concerning route and equipment. Using uniforms from 1937, rubber boots along the coast and across the mountains on Ringvass Island. But, they did not amputate their toes, nor become taken by avalanche or staying at the different spots, where Baalsrud had to wait, for weeks. 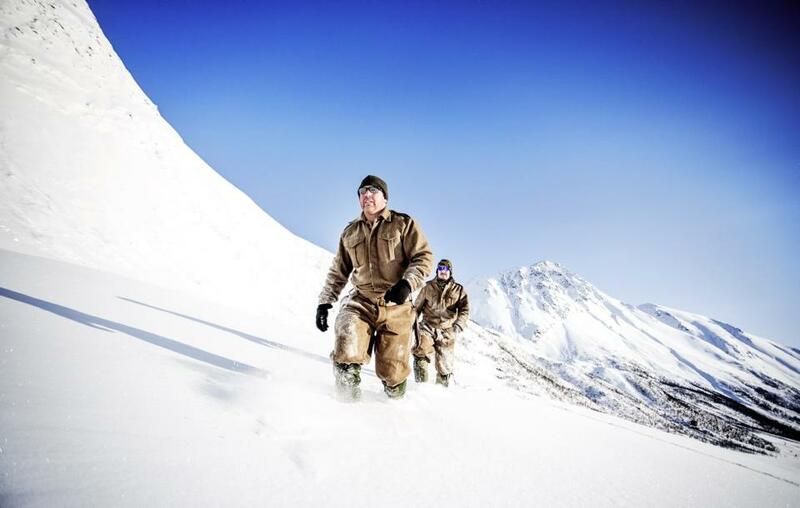 This project became a co-operation between the Norwegian Broadcasting and Norwegian Armed Forces plus Rune and Ronny. It will end up in 5 x 30 minutes programs. The main goal is to put light on all the callenges Jan Baalsrud and his helpers had during the two months escape. No one can copy what Baalsrud and the good helpers did.It is made a short teaser of the series by Norwegian Broadcasting as you can watch on vimeo.com (Norwegian). Thomas Adam graphical description of the Jan Baalsrud escape.